Bicep curls are the best exercises to tone arm fat quickly. You can do these using a barbell or dumbbells. Your trainer will guide you as to how much to lift. As a rule of thumb, a 140lb weight man may lift up to 70lb. Use the palm up grip when you do bicep curl. 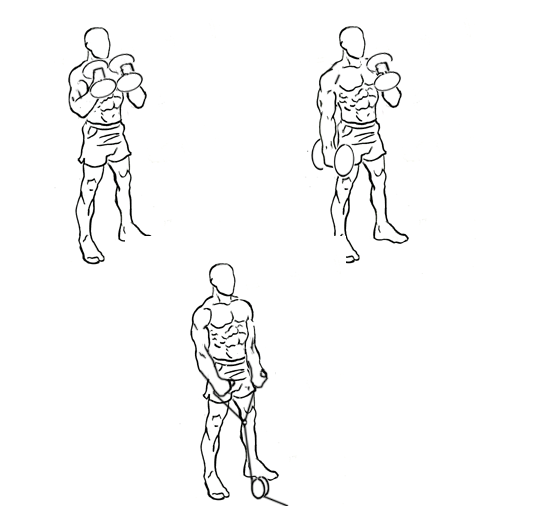 This exercise can help you reduce arm fat quickly as it involves the small muscle groups in the upper arm. However, you must never only focus on biceps during the workout. What this means is that you need to also focus on your big muscle groups. Always combine bicep curls with back exercises or tricep workout. You can even do lower middle or upper back on the day you choose to do biceps. Speak to your trainer to guide you. Hammer curls are very good for toning the triceps. They target a different group of muscles so never mistaken them for bicep curls. Like bicep curls, you can do tricep hammer curls with other muscle groups like shoulder or chest. The grip for bicep curls is different than that for hammer curls. You can also combine hammer and bicep curls with other arm strengthening exercises. 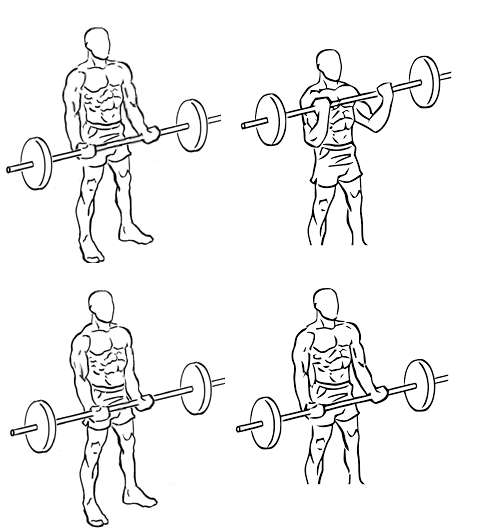 Hammer curls can also be executed using rope cable. Start out in the plank position. Your arms should be under the shoulders and boy is balanced on the toes. With control, slowly lower yourself to the floor taking at least 4-6 seconds to do so. Once you reach the floor, push yourself back up but not to the start position. The key is to slowly lower and raise your body. Sit on the edge of a bench with arms by your side and legs in front of you. Bend your legs at 90 degrees and place one ankle on the opposite leg. 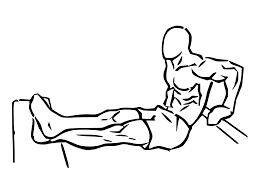 Slowly lower your buttocks to the ground placing your arms on the bench with elbows bent as much as possible. Push yourself back up locking your elbows completing the rep.
You can also use a chair instead of a bench to do this exercise. Stand straight and lift your arms to the side so that they are at shoulder height. Stretch your arms to the side and then move them in a crisscross pattern imitating the movement of a pair of scissors. Your right arm should overlap your left arm in front of you. During your next move, your left arm should move over your right one. Repeat this exercise approximately 20 times. Do not lower your arms even if they start to hurt. Rest your arms for a few seconds then do one more set. This is a great warm up exercise as well. Slowly lift your arms up into the air and bring them down. After a while, start increasing the speed. Repeat these movements for 30 seconds. Try to be as fast as possible. Relax for 10 seconds, then repeat the exercise. If you do these exercises every day for the next 7 days you will certainly see lose arm fat without weights. Stand straight facing the wall. Place your hands on the wall extending your arms. Push your body towards the wall and brace yourself with your arms. Stay in the position for a few seconds then force your arm muscles to push yourself back to starting position. Repeat the exercise 20 reps.
Rest for a few seconds, then repeat one more set. This push up variation is great for people who are unable to do standard push ups. Stretch your arms out to the sides placing them at shoulder height. Begin to do circular movements your arms-first counter clockwise, then clockwise. Repeat the motion 20 times-10 counterclockwise, and 10 clockwise. Repeat 20 times in the same way. 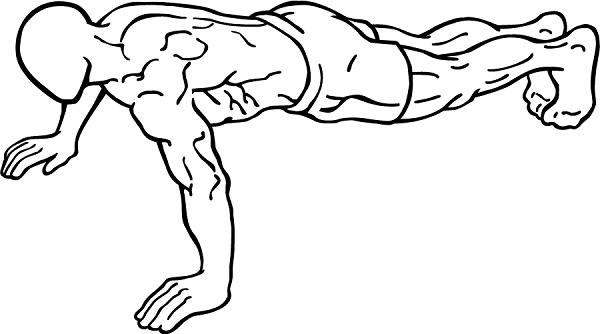 Planking is a great way to build core, tone the back and also lose arm fat fast for females and males. Lie on the floor on a yoga mat. Flex your elbows and prop up the upper part of the body. Support lower body on the toes. Remember that your back should be perfectly straight. Pull your core muscles inside. Stay in this position for at least 30 seconds in the beginning, and do this exercise every day for at least one week. Soon you should be able to hold the plank for at least one minute. The longer the better. Plank is a complete body workout. It has many benefits and tones the abs, back, and the arms. Of course you cannot entirely depend on exercise alone to reduce arm fat. The best way to reduce arm fat without exercise is to eat sensibly. You need not avoid all carbs entirely. Go in for slow burning carbs like veggies, whole grains, and fruits as they burn slowly, give you nutrition and also stabilize and balance blood sugar. Apart from arm fat reducing exercises and healthy diet, you can also do yoga, swimming or dancing. These are fun ways to lose overall weight and get toned arms.